'Skinny on calories but ample on flavour' is the tagline for Black Tower's Skinny duo. From the world's best selling German wine brand, Black Tower, this light style wine-drink was introduced to the range to to appeal to a growing consumer demand for lighter style and lower alcohol wines. Jumping to conclusions, I feel it's aimed at women who want to have it all - wine and the figure of Kate Moss. 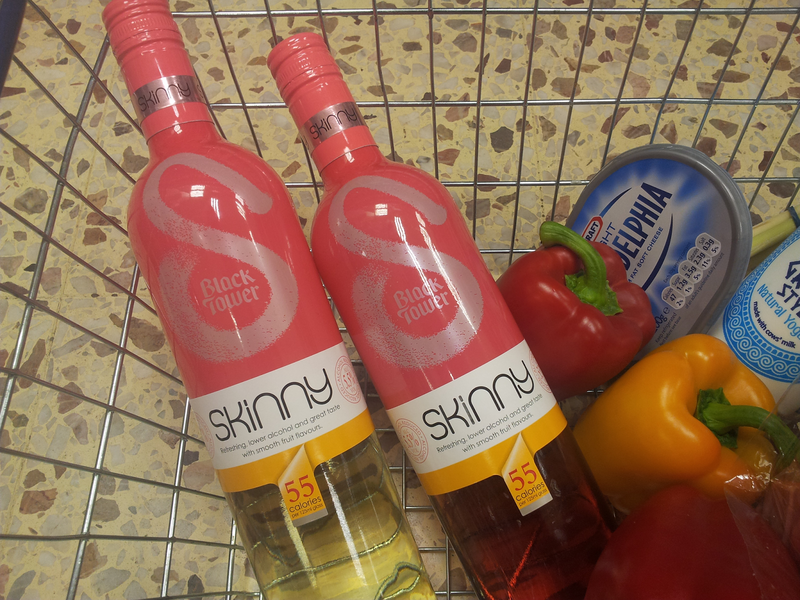 With it's pink packaging and obvious positioning of the word Skinny, this is marketing at its best and I have visions of women accross the country excitedly muttering to themsleves "ooh I can drink wine and lose weight!" *pops a bottle in the baskets along with low-fat cheese and 0% fat sweets*. As a frequent drinker of 'normal' wine, cocktails and spirits, the Skinnys' low abv of just 5.5% is a far cry from my normal tipple, and I sigh that it's practically a soft drink. On closer inspection of the label, it states that it's an alcohol reduced, wine-based drink. Which puts it in the in-between category - not quite a soft drink and not quite a wine. In my opinion, a wine that's had the life sucked out of it! At 55 calories per 125ml glass, it's less than a normal glass of wine, so yes, I can see the appeal to some, but I m still not sure. Despite my hesitations, I chilled them in the fridge for about twenty minutes, then filled a glass and popped in a couple of ice cubes (shoot me, it was warm and it's not normal wine!). I was expecting this pair to be sweet and reminiscent of some of the sickly Blossom Hill and Gallo wines I'd tried before - especially as they're from a German producer - but there was a refreshing acitidy to both to keep the balance in check, though the overall result is a medium sweetness. With a summer fruit flavour of strawberry, raspberry and cranberry, the rose is my preference of the two, and it made a nice accompaniment to the Asian salad we had for dinner. The white has flavours of apple and pears (and dare I say cucumber? ), but I didn't feel it was as enjoyable as the rose - it was a little further from wine and closer to a soft drink. As a wine geek, I can't say the Skinnys appeal to my drinking habits and my search for the holy wine grail (afterall all, they are only wine-based), but I can appreciate their place in the right situation. For lazy summer picnics, light al fresco lunches in the sunshine or sizzling, early evening barbeques, the low alcohol, light, refreshing flavour and screwcap closure tick a lot of the summer drinking boxes and yes, they are pleasant enough to drink. 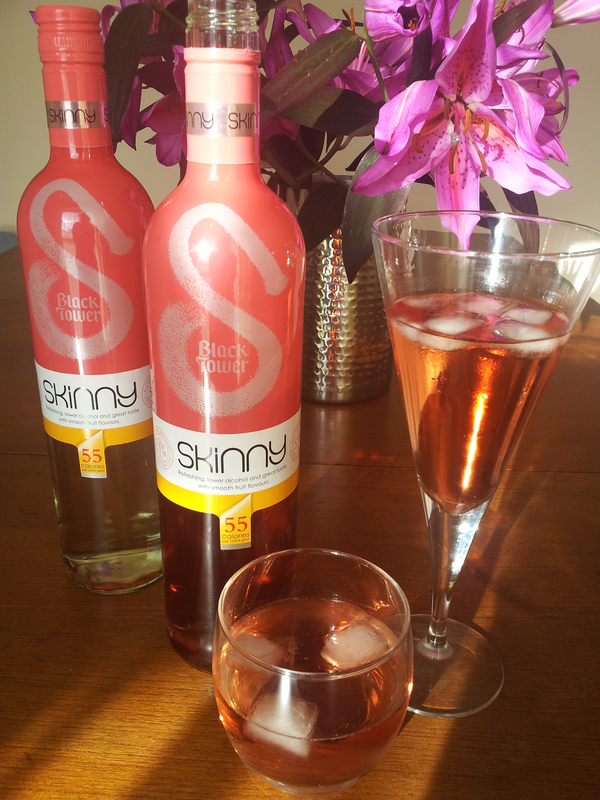 Truth be told, I have never been a great believer in 'skinny' wine, or wine-based drinks - either make a wine, or don't. For me, it's like vegetarians eating Quorn mince - why pretend to be something you're not? As for Black Tower Skinnys? Well, I can understand the allure - low in calories, low in alcohol, but I still can't help the feeling that I want to be in the wine camp, or the soft drink camp, not somewhere in the middle.